Walmart | Let's Get Deals Today! Hosting or attending a Super Bowl Party this weekend? Here’s four “must haves” to super-size your Super Bowl Sunday. Best Buy: Kick off a great deal with Best Buy. Order your TV online now and pick it up at your local store after work. Maximize your savings with a Best Buy Rewardzone card where you receive a $5 rewards for every 250 purchase points. Save even more on an in-store purchase by printing or loading onto your smart phone this in-store only offer: Best Buy Gift Card Offer. Sears: Save time and money at Sears.com. Search online first for TV’s that are “Available in Store.” Then buy your TV online utilizing the “Store Pickup” option and pick up your new TV tonight. Use Coupon Code Sears5Off50 for $5 off a $50 purchase or use SuperSavings for $10 off $75 (this expires today). You get the best of both worlds with these time and money saving options! Target: Got a Target REDCard? Make sure you use it to pick out your new TV and get an immediate 5% cash back. Then pile on the savings with this Target 10% off TV coupon and get even more off a Target TV purchase! Walmart: TV sales here too! Simplify your day and shop online first. Look for “Free Store Pickup Today” in the right hand side of the TV details to take advantage of both online shopping and local pick up. 2. Feeding the Fans: Serve your guests a Team Rivalry Food Fest! Make it even more fun and have your friends bring their own “team spirited” food creations. To get you started, here’s several fun “team favorite” food ideas to fill up your fans! 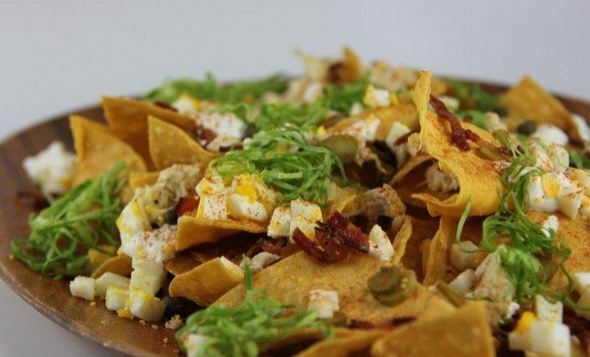 Pats vs. Giants Super Bowl Sunday recipes: For the Pats fans in the crowd, how about Maine lobster and crab nachos with corn tortillas. Keep those Giants fans coming back for more with these Steakhouse baked potato skins. Cook up team spirit with Coupon Cabin’s 6 Super Bowl Party Recipes. These Giant dishes will be sure to crush any appetite: Almost Eli’s Cheesecake, Victor Cruze Booze and Mario ManningHam and Cheese Sliders. These Patriotic dishes might just steal the game: Jerod Mayo-less Potato Salad, Vince Wilpork Chop Casserole and Tom Bradyfingers. Your guests won’t cry foul with Food.com’s Super Bowl Teams menu planners: New England Patriot’s SuperBowl 2012 Menu Planner and New York Giant’s SuperBowl 2012 Menu Planner. Go Patriots Meatballs takes on Frankie’s Meatballs. Need something healthy for the dieters of the crowd? Try out these team spirited healthy eats from DietsInReview.com. Don’t forget to print out your grocery coupons and score a touchdown of savings! Sites like Coupon Cabin, Target, and Walmart will help you stretch your game-day dollars. Macy’s Kitchen Sale: So many items to choose from! Get many of your game day kitchen gadgets right now with Macy’s Home Sale. Party City: Party on with Party City’s 50% off patterned table ware sale! 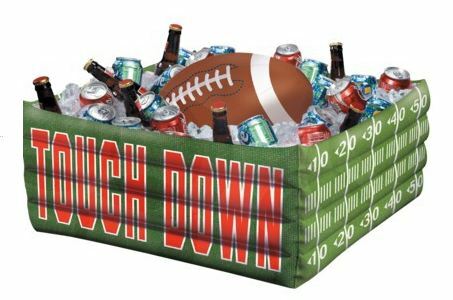 Stock up on all things “Super Bowl” from serving bowls to cutlery, banners and balloons. Super charge the Team Rivalry Food Fest with Giants and Patriots specific decorations. But before you “party hard” at Party City, print out the Party City in-store coupon for even greater savings! 4. 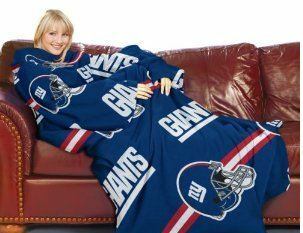 Show your Team Colors: Check out Amazon’s NFL Fans Shop. Order by tonight for pre-game delivery and celebrate your “Team Style”. And if you are an Amazon Prime member, your delivery will be free! 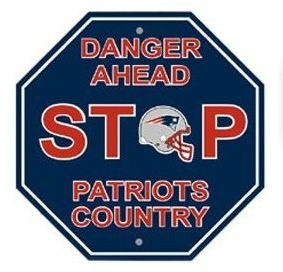 Just not into the Super Bowl? Yes, there really are some of us who just … gasp … don’t want to watch the game. Except maybe the commercials and half time show! So what are you to do? Go shopping of course! The malls with be empty Sunday afternoon. So drive on over and check out what deals are happening at your local mall. Or perhaps a day at the spa is in order. But more on that later … this one’s all about Game Day! So what are your plans for Super Bowl Sunday? Will you be watching with friends? Cooking up a storm? Or shopping? Let us know in the Comments Section below. Want to grab some great last minute Holiday sales this weekend? Here are 8 shopping deals to get your Christmas shopping complete. $10 off purchases of $25 or more. But hurry: this one ends at 1:00pm today! An extra 20% off nearly all sale and clearance apparel, and an extra 15% off sale and clearance watches and select home items. This coupon is valid through Monday, 12/19. Don’t want to fight the crowds at your local Macys store? Use promo code “SAVEMORE” to access the extra 20% off sale and free shipping for online orders. Don’t have a printer? Then text “CPN” to Macys (62297) and have your coupon delivered straight to your phone. How easy is that! Don’t have a JCPenny nearby? Then shop online with promo code “BOWS2TIE” to take advantage of the $10 off coupon. Add in the free shipping coupon code “SHIP69” and if you spend more than $69, free shipping too. If you have a local JCPenny store but still want to shop online, then you can get free shipping to the store for any dollar amount. No crowded lines to deal with! Up to 32% of select TVs. Over 30,000 tool on sale. Up to 30% off House ware. Up to 60% off coats, sweaters and fleece for the whole family. You can’t go wrong shopping at Sears. Tools for Dad, jewelry for Mom, sweaters for big sis and a favorite toy for junior, all at one store, all at great pricing today. Target: Another great day of deals for Target shoppers! Save as much as 40% on 1000’s of items today. And, if you shop Target before 1:00 today, you can earn a $10 Target giftcard after spending $75 or more. Easy to do with Target’s pricing. Don’t forget to use your Target REDCard to save another 5%. Walmart: What Super Saturday sales wouldn’t be complete without a Walmart savings? 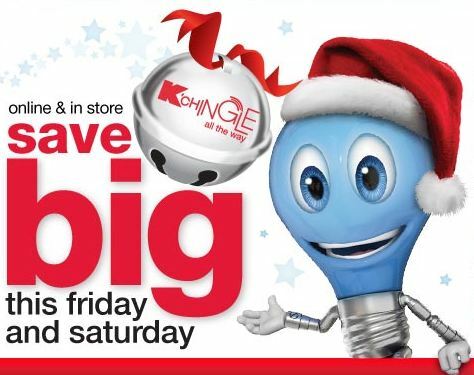 Check out their Big Christmas Event online for some sweet savings this weekend only. Kmart: Don’t forget about Kmart. Lots of deals here too! Spend $50 and get a $5 Kmart gift card. Use promo code “HOLIDAY” when shopping online and you will get free shipping if your order is more than $49. But hurry in: these deals are good through today only. LLBean: Now through Tuesday you get 15% off your entire online store and a $10 LLBean gift card for purchases over $50. Free shipping too! But you want more? Then how about 30% off all sweaters today only: get the whole family looking great for those Holiday photos. Want to shop at a brick and mortar LLBean store? Then either print the coupon or show the LLBean e-mail via your phone at the store. To access the additional 15% off, you will need to click through an e-mail from LLBean. Not interested in a sweater? Then check LLBean tomorrow. Through December 23rd, LLBean posts a new one-day sale in their “12 Days of Christmas Savings” sales event. Lands’End: Wow! 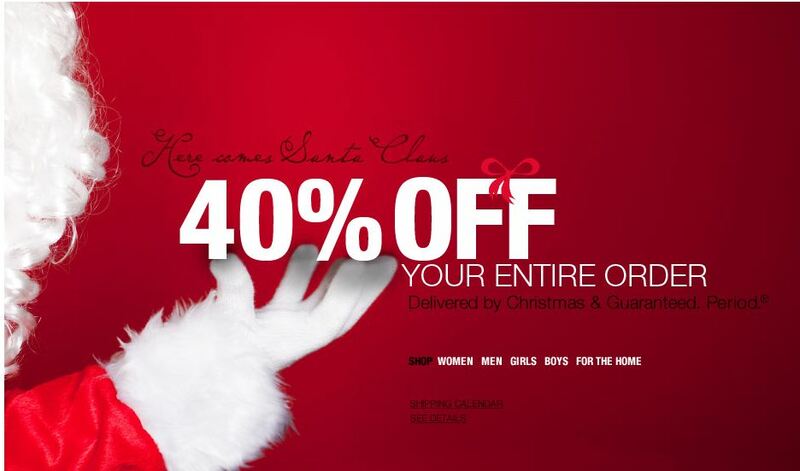 LandsEnd has 40% off its entire store with free shipping on orders over $50. And, if your order is placed by Dec. 21-22, it is guaranteed to be on your doorstep in time for Christmas. Ok, just one more special! Have a cook in the family? Need something for the kitchen to help you make that fabulous Holiday Dinner? Then you must check out today’s “Bonus” store: William Sonoma is offering 25% off nearly all cookware with free shipping! Use promo code “COOKWARE 25” to access this cook’s dream sale. This offer ends tomorrow, December 18th, and supplies are limited, so grab your sales now. And to sweeten the pot, Miele expresso makers are 25% off today only, while supplies last. Want more? Then check out the other 350+ items on sale for as much as 40% off. Make that dinner extra sweet with an extra sweet sale price today. Are you now inspired to complete your Holiday shopping? What is your favorite shopping sale of the day?